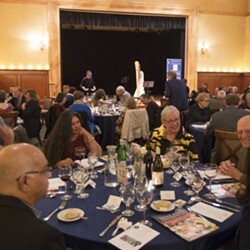 Join the Festival Mozaic visiting chamber artists in the Paso Robles Park Ballroom for this musical and culinary event. Featuring Central Coast wines from SummerWood Winery and local, fresh cuisine by Chef Jeffery Scott. Artists will perform program highlights by Rossini and Dvorák.